Want to see the largest mammals on earth? Take a whale watching cruise this summer. From May through December, the West Coast is prime territory for summer sightings of blue whales, 80-foot long behemoths that can weigh up to 100 tons. You might also spot humpback whales, which can grow to 50 feet and weigh upwards of 40 tons. Humpbacks, as well as minke and finback whales, are also found off the coast of New England from May through October. California's Monterey Bay is one of the prime feeding grounds for humpback and blue whales in summer time. 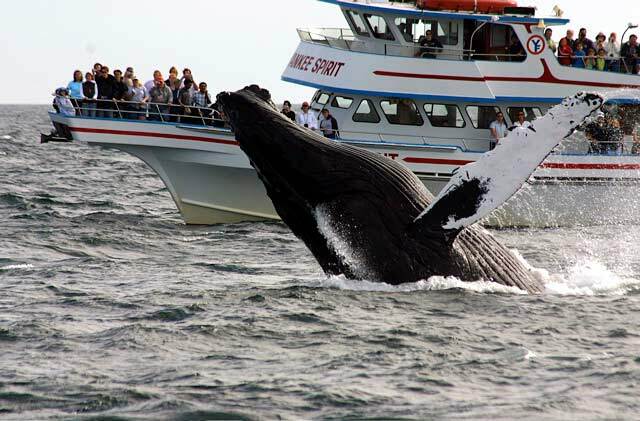 Monterey Bay Whale Watch offers four- to five-hour trips on one of their two ships for $35 to $45. With luck, you can also expect to see dolphins, porpoise, sea otters and sea lions. In the Northwest, Island Adventures Whale Watching guarantees sightings of orcas, or killer whales, on every trip. They depart from Anacortes, Washington, about 90 minutes north of Seattle, and cruise the San Juan Islands. The price is $89. Sailing out of the classic Massachusetts fishing port of Gloucester, Yankee Whale Watch has four scientists aboard every trip. Their fleet of nine boats goes out to the feeding grounds of Stellwagen Bank and Jeffrey's Ledge in search of humpback whales. The cost is $45 for a four-hour trip. A few miles from Acadia National Park, Bar Harbor Whale Watch Company departs from one of Maine's most colorful ports on three and half hour trips. Their fleet includes the Atlanticat, a high speed catamaran specifically designed for whale watching. While humpbacks are considered the grand prize, the gulf of Maine can offer sightings of puffins, blue sharks and even the rare right whale. Tickets are $56.